inspired by My Neighbor Totoro, created by Hayao Miyazaki of Studio Ghibli. Staying cozy above the fireplace. 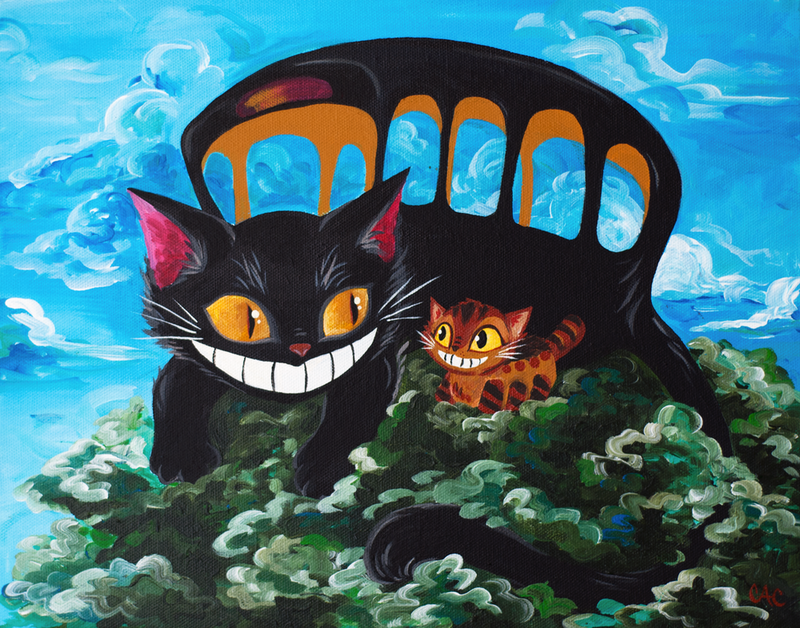 I’m honored to announce my painting, Kitten & Granddaddy Cat Bus (aka Son of Cat Bus), will be included in the upcoming art show “GHIBLI 4: A HAYAO MIYAZAKI ART SHOW” in tribute to the films of Studio Ghibli, from September 30 - October 22, 2017, at Subterranean Coffee Boutique in North Park. 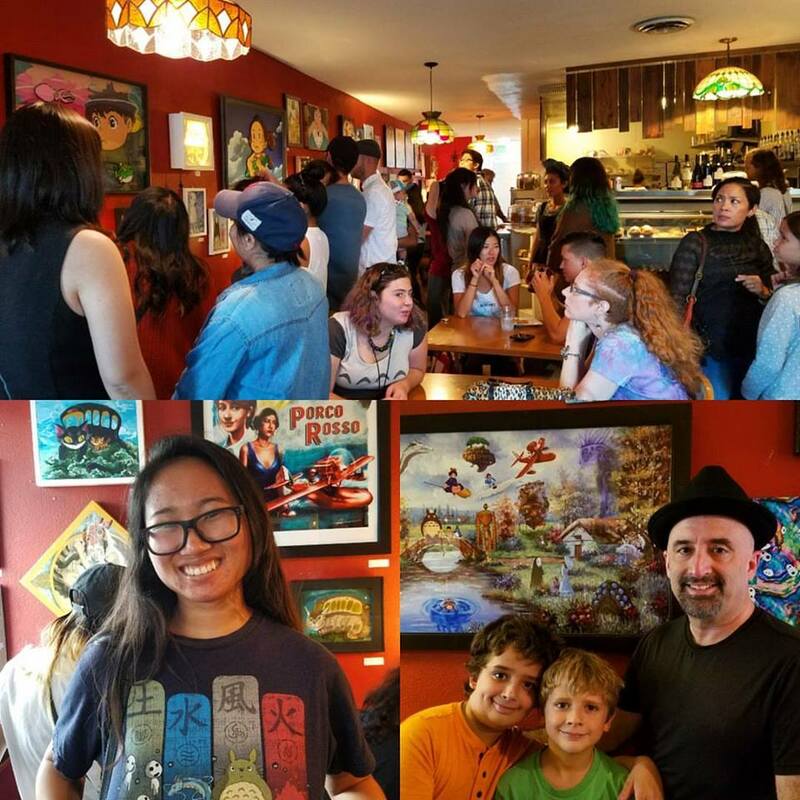 Organized by Thumbprint Gallery.